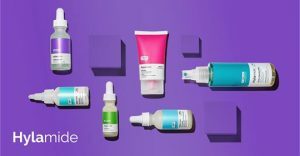 Deciem are constantly updating their website with regard to conflicts of products, so please always double check the product online before applying. 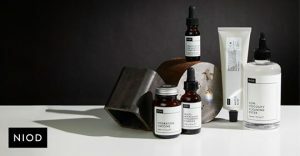 You can find all this information on the Deciem Website. I´ve laid it out differently so no need to click down for the categories. When do I use Granactive Retinoid? This should be used in the PM only. Why? Because retinoids can make the skin more sensitive to UV radiation. Please make sure you use a really good SPF. Where does this fit into my routine? This solution is an emulsion and used after water based products and before oils/creams. What does this conflict with? This shouldn’t be used with other retinoids. Can I use Retinoid when pregnant or breastfeeding? Best to avoid any skincare products containing retinoids or retinols. How strong is this? This is moderate strength, no irritation. When do I use this? Use PM only. Why? Because retinoids can make the skin more sensitive to UV radiation. Please make sure you use a really good SPF. Where does this fit into my routine? This is an anhydrous solution and used after water based products and before oils/creams. Can I use this when pregnant or breastfeeding? It´s best to avoid any skincare products containing retinoids or retinols. When do I use this? Use PM only. Why? Because retinoids can make the skin more sensitive to UV radiation. Use a really good SPF. Where does Retinoid 5% Squalane fit into my routine? This is an anhydrous solution and used after water based products and before oils/creams. What is retinol 0.2% Squalane use for? Signs of ageing, textural irregularities. When do I use this? Use PM only. Why? Because retinol can make the skin more sensitive to UV radiation. Use a really good SPF. Where does this fit into my routine? It´s an anhydrous solution. Use after water based products and before oils/creams. Can I use whilst pregnant or breastfeeding? It´s best to avoid any skincare products containing retinoids or retinols. What is retinol 0.5% Squalane use for? Signs of ageing, textural irregularities. Where does this fit this into my routine? It´s an anhydrous solution. Use after water based products and before oils/creams. Can I use whilst pregnant or breastfeeding? It´s best to avoid skincare products containing retinoids or retinols. What is retinol 1% Squalane use for? Signs of ageing, textural irregularities. Where do I fit this into my routine? It´s an anhydrous solution. Use after water based products and before oils/creams. 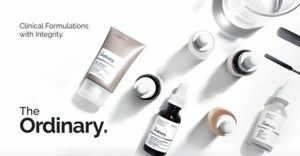 Deciem have created a complete guide to all their different Vitamin C products here. What is Ethylated Ascorbic Acid for? Signs of Ageing, antioxidant support, uneven tone. When do I use this? You can use this morning and evening. Where does this fit into my regimen? It´s an anhydrous solution and goes after water based solutions but before oils / creams. Does this conflict with anything? You should not use this with Niacinamide (more molecules) or EUK 134 (antioxidants). What is Ascorbic Acid + Alpha Arbutin for? Hyper-pigmentation, dark spots, uneven tone, signs of age, antioxidant Support. Where does this fit into my regimen? It´s an anhydrous solution and goes after water based products but before oils / creams. Does this conflict with anything? Yes, you should not use this with Niacinamide (more molecules) or EUK 134 (antioxidants). What is The Ordinary Vitamin C 23% for? Uneven tone, signs of age, antioxidant support. When do I use this? Preferably in the evening. Where does Vitamin C 23% fit into my regimen? It´s a suspension and should go on after water based products. However, Deciem have said that this should be applied after NMF if using. If in doubt, send them a message. Does this conflict with anything? Niacinamide (more molecules) and EUK 134 (antioxidants). What is The Ordinary Vitamin C 30% for? Uneven tone, signs of age, antioxidant support. Where does vitamin c 30% fit into my routine? It´s a suspension and should be applied after water based products. Does this conflict with anything? Niacinamide (more molecules) & EUK 134 (antioxidants). What is Ascorbyl Tetraisopalmitate for? Dullness, uneven tone, signs of ageing, antioxidant support. Where does this fit into my regimen? It´s an oil solution (very light) and should be applied after water based solutions. What is Ascorbyl Glucoside for? Dullness, uneven tone, signs of aging, antioxidant support. Where does this fit into my regimen? It´s water based so apply as one of your first layers. Does this conflict with anything? No. What is Magnesium Ascorbyl Phosphate (MAP) for? Dullness, uneven tone, signs of aging, antioxidant support. When do I use this? Morning and evening. Where does MAP fit into my regimen? It´s an emulsion and goes after your water based products. What is L-Ascorbic Acid Powder for? Brightens skin, reduces signs of ageing, antioxidant support. When do I use this? Preferably evenings only. Where do I fit this into my regimen? This is a powder solution and you can mix with other treatments. Deciem recommend mixing with Resveratrol & Ferulic Acid for a fantastic antioxidant. Are there any conflicts? Yes, Niacinamide, EUK 134 and other highly acidic products. What is The Ordinary Lactic Acid 5% for? Uneven tone, textural irregularities, fine Lines. When do I use this? Preferably evening only. Where does this fit into my regimen? It´s water based so use as one of your first layers and can also be diluted with other products, avoiding conflicting products below. Does this conflict with anything? Do not use with other strong acids, EUK 134 (antioxidant) or Peptides Buffet, Buffet + Copper, Matrixyl, Argireline. What is The Ordinary Lactic Acid 10% for? Uneven tone, textural irregularities, fine Lines. Where does this fit into my regimen? It´s water based so use as one of your first layers and can also be diluted with other serums avoiding conflicting product below. When & How: PM only. Apply to dry skin avoiding eyes. Leave for no more than 10 minutes once or twice a week. Rinse with lukewarm water, avoid contact with eyes. Conflicts: Highly acidic formulations of ascorbic acid. When & How: PM, 2-3 times a week. Apply hydrator after if needed. When & How: AM &PM. At least 30 seconds before or 3o minutes after products containing direct acids, vit c or retinoids. Conflicts: Vitamin C (L-Ascorbic Acid and Ethylated Ascorbic Acid) and Direct Acids. Please see Deciem official website for more information. Conflicts: Vitamin Cs L-Ascorbic Acid and Ethylated Ascorbic Acid and Direct Acids. Please see Deciem official website for more information.